It works correctly with the computer (recommend using Chrome browser). With mobile devices may not work. 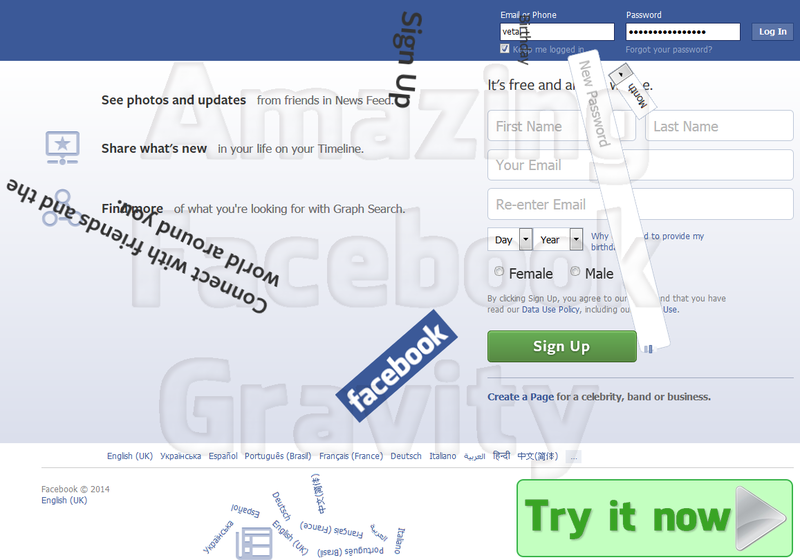 Try it now by clicking on Amazing Facebook Gravity. If you like, you can share this with your friends. We think it is also interesting.